This convenient power supply allows you to run any 12 volt, 4-pin MOLEX device without a computer. 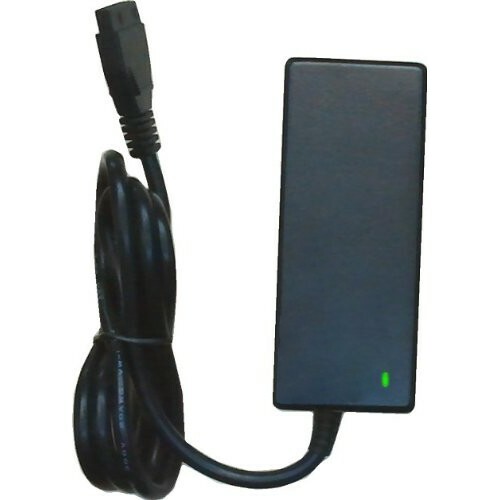 This convenient power supply allows you to run any computer device that is powered by a standard 4-Pin MOLEX style adapter without having to turn on your computer, or without even having to install it in a computer in the first place. You simply plug this power supply in a standard 110V wall outlet and it will convert your A/C power to 12 volt DC output! Simply plug in any 12 volt device with a standard 4-pin MOLEX connector that draws a maximum of 5A and you are ready to go. Output Power Cord Length: 40"
NOTE: This power supply only supplies power over the 12 volt pins, it does not supply 5 volt power over the 5 volt pins.